this is just perfect! my birthday is in less then a month and now i have soooo many ideas! Seems interesting. 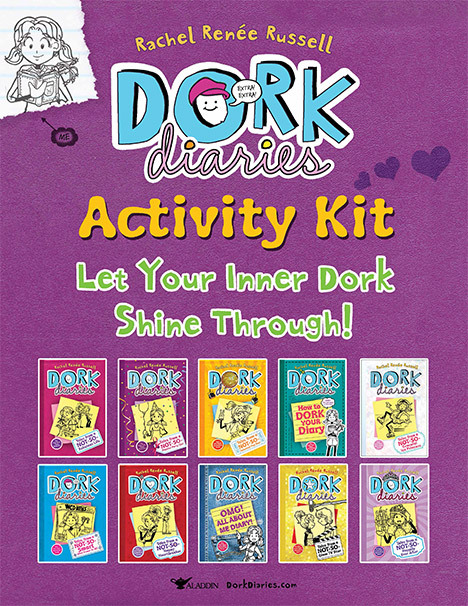 I am a big bookworm and am a fan of dork diaries. This seems really fun and very entertaining! These are great party ideas. Not a dork, but I do like the series. Hey I love this site and Im ossebed with dork of diaries and i need your advice how can the person and me tell everyone we go out. I printed it and I played with my younger cousin and we both LOVED playing with it its AMAZINGGGG !! OMG! I so want that…! I really really want that!!!!!!!!!!!!!!!!!!!!!!!!!!!!!!!!!!!!!!!! I WANT THAT OMG OMG OMG! SQEEEEEEEEEEEEEE! OMG AN MUST HAVE SSSSSSQQQQQQQQQQQUUUUUUUEEEEEE!!!!! Same it is the best!